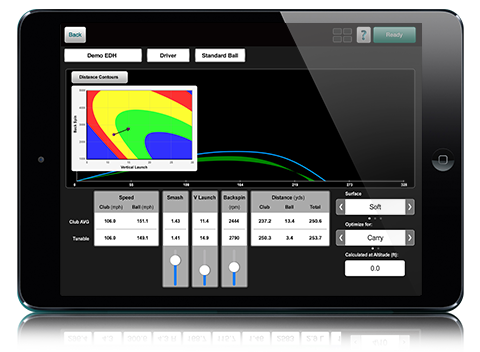 The Xi+ runs on windows and can be linked to TruGolf E6 simulation software so you can play some of the best courses from around the world. This is the most affordable simulation product in the marketplace. 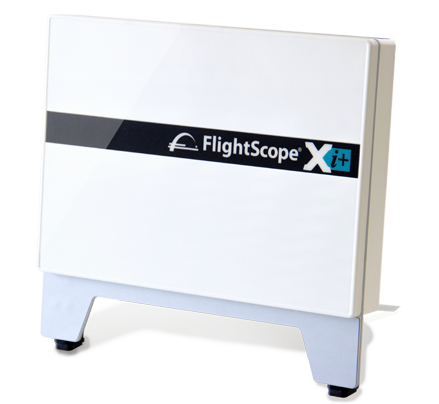 The FlightScope Xi+ offers club fitters a wealth of information that ensures their customers a unique and professional club fitting experience. 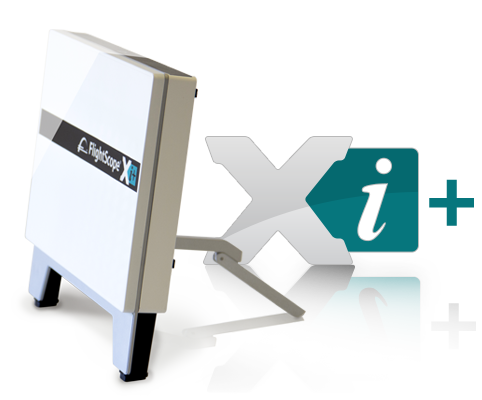 The Xi+ can be used both outdoors and indoors and will require only a minimum total distance of 16 feet from radar to net for indoor use. Short Indoor Mode: The distance from the tee to the FlightScope sensor should be exactly 2.5 metres. For the most accurate measurements in this setup, there must be at least 8 feet of ball flight. 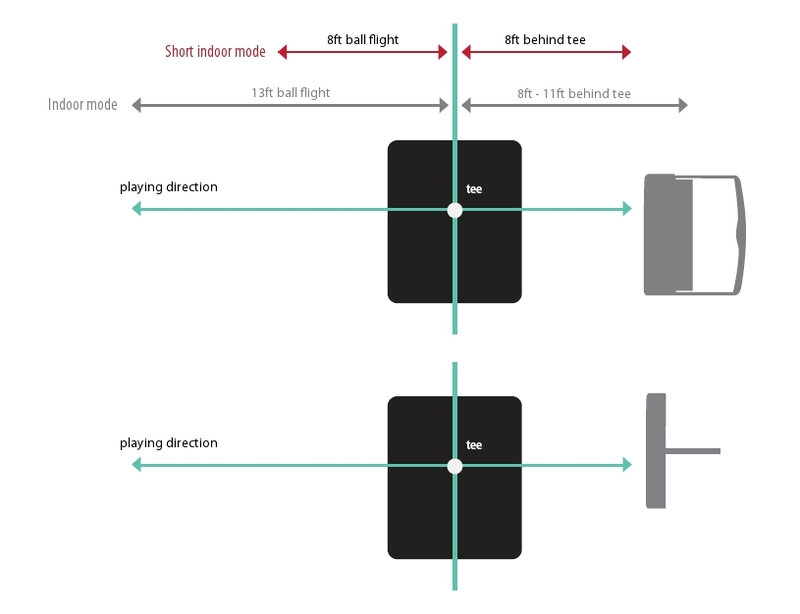 Indoor Mode: The distance from the tee to the FlightScope sensor should be 3.5 metres. For the most accurate measurements, there must be at least 4 metres of ball flight. Please ensure that there are no obstructions between the FlightScope sensor and the tee. Ideally, fluorescent lights should be avoided; incandescent, halogen or sodium lights are acceptable. If the location has fluorescent lights, aluminium insect screens available from any hardware store can be used to shade the lights.